Ruby Moo has always been different from the other cows. She isn’t content making yogurt, milk, and cheese on the dairy farm. Ruby wants to be an astronaut, an explorer, and, more than anything, she wants to be the first cow deep-sea diver. So one day, brave Ruby Moo stows away on a van and rides it all the way to the ocean. Borrowing a helmet, she dives right into the water and discovers an exciting shipwreck along with a scary, giant squid! Thankfully, the squid is only looking for a chess partnerand maybe someone to play with on his trampoline. Phew! 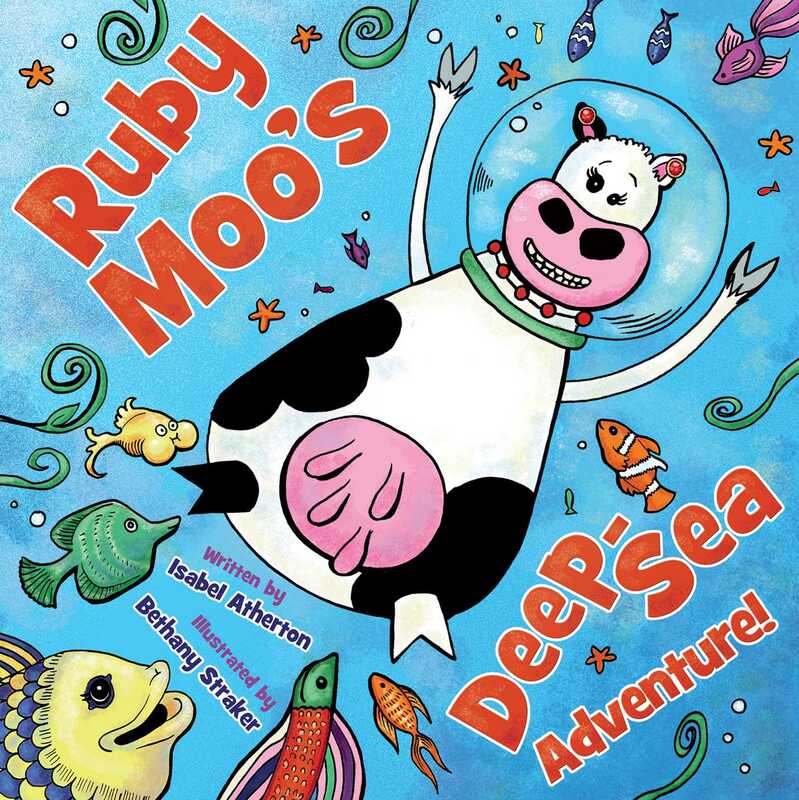 Book Cover Image (jpg): Ruby Moo's Deep-Sea Adventure!